South Eden Robotics team places 4th at National Tournament, heads to World Championships! 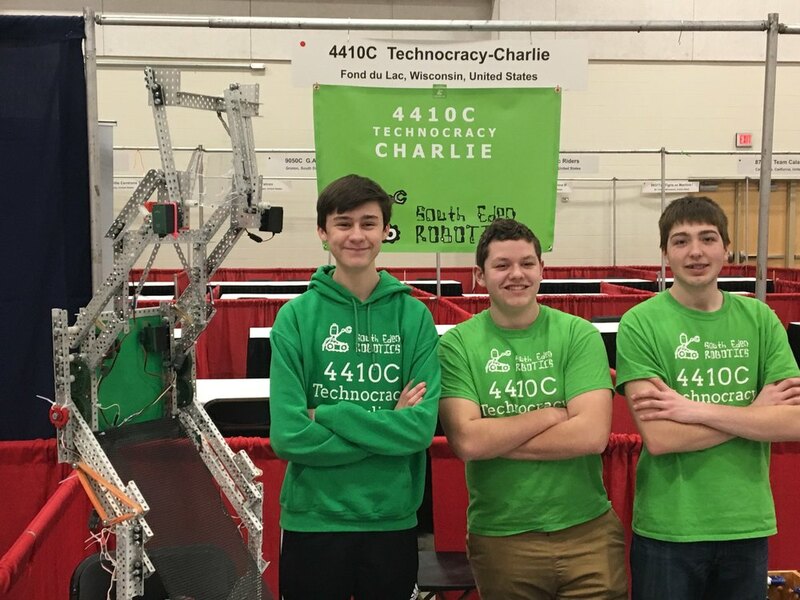 Over the past weekend, 3 South Eden Robotics team members placed 4th in the nation for Robotics Skills at the U.S. Open held in Iowa. Henry Hathaway, Mitchell Gonzalez and Connor Hamm, all sophomores at Campbellsport High School, received a trophy for their 4th place finish out of 92 teams competing in the Robotics Skills Challenge at the tournament. They will compete next at the VEX World Championships as one of only 7 teams qualified to represent Wisconsin. Congratulations to Henry, Mitchell, and Connor and all of our Robotics teams!